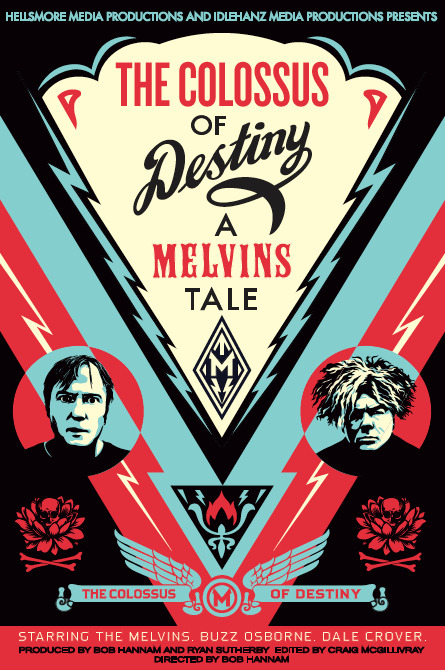 LOS ANGELES, May 11, 2016 – The producers behind the eagerly awaited Melvins’ documentary, “The Colossus of Destiny: A Melvins Tale,” have announced the first public screenings of the film: Los Angeles’ Don’t Knock The Rock Film Festival in late July and at Psycho Las Vegas the weekend of Aug. 26 to 28, with more screening announcements to follow. A private premiere in the band’s adopted hometown of Los Angeles takes place on May 21 at The Silent Movie Theater with a few pairs of tickets up for grabs via contests on the documentary’s Facebook page (www.facebook.com/melvinstale). 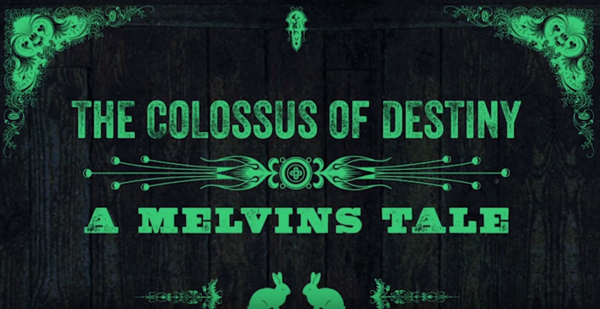 “The Colossus Of Destiny - A Melvins Tale” is a film about a band who have defied all the rules, for over 33 years and counting, and still managed to succeed and do it their own way. This is the journey of band members King Buzzo and Dale Crover which leads us from the backwards-waters of the Chehalis River in Washington State, down through the Golden Gate of Northern California, finally settling into the Los Angeles River Basin of Southern California with the rest of the world thrown in along the way.